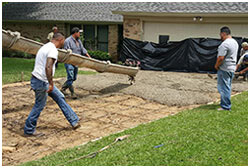 Require Concrete Repair In Carrollton, TX? Driveway Repair Halts Concrete Cracks, Issues. If you need concrete repair in Carrollton or driveway repair because fractures are an issue, call the contractors at HD. We offer solutions to all kinds of ordinary problems. For expert Carrollton services such as driveway repair, or restoration service on any other concrete surfaces, we’re the company to contact. Who Needs Concrete Repair in Carrollton, Driveway Repair? 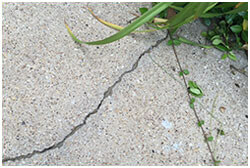 Property owners who have concrete cracks and damage need to have their concrete fixed. Driveways and other surfaces often deteriorate. The reason is this: Local temperatures, shifting soil and rainfall cause concerns, and can easily damage concrete surfaces such as sidewalks, retaining walls, patios, decks, stairways and parking lots. When concrete repair issues develop in Carrollton, expert local driveway repair service stops cracks and other types of problems. Due to the immense amount of rain and occasional flooding that occurs in the Dallas, Fort Worth area, it’s not uncommon to have issues with concrete. Climate conditions that top 103 degrees and then plunge to 15 degrees months later cause trouble. That’s why a lot of property owners need their concrete parking lots or driveways repaired. This includes the owners of commercial buildings, apartment complexes and residential properties. Fortunately, when Carrollton residents have common concrete repair problems, contractors solve them. With almost 120,800 people in the city, there are many concrete surfaces that require attention. In addition to cracking in driveways, other ordinary problems that contractors offer solutions to include uneven surfaces that are not level and splintered concrete areas that need repair service. Sometimes issues involve separation in the joints of driveways. Because problems do commonly occur, concrete repair contractors in Carrollton provide a resolution by: (1) pouring new concrete driveways or parking lots (2) resurfacing areas that have cracked (3) patching existing concrete (4) elevating surfaces and filling in the voids beneath them and (5) applying acrylic grout inside fractured concrete. When making repairs, contractors deal with lots of other complications, too. Of course, price is generally a consideration. That’s why it’s a good idea to find out what concrete driveway repair costs. You’ll discover that contractors in Carrollton that repair parking lots, curbs and other concrete surfaces take lots of things into account. Costs are based on the extent of concete damage, the square footage of the area involved and many other factors. If you require patching or resurfacing done by driveway repair contractors in Carrollton, or need concrete repair experts that pour new surfaces in the North Texas area, we’ll be happy to evaluate your property. 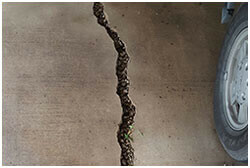 To protect your property, ask HD to provide you with a concrete damage appraisal at absolutely no charge. We’ll be happy to stop by and perform an inspection on your concrete surface or driveway. If we see serious cracks or other problems, we’ll let you know. For expert Carrollton service, schedule a free concrete repair or driveway repair estimate online today.